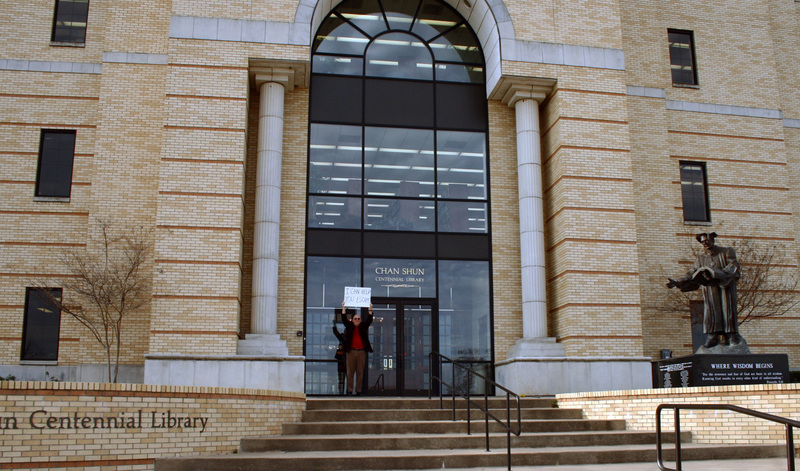 Way over there…that’s me on the steps of the Chan Shun Centennial Library on our campus. Can I help it if no one else is up at 8 a.m.? Here’s today’s obligatory shot of me with the sign in a public place. Once again, anyone interested in the Infinity’s Reach Escape Clause Contest for a free book can find the rules here. Too funny! Hahaha I miss you and everyone else so much, Dr. Robinson, that to reminisce too long on memories can be painful, but it is hard not to when God blesses your life with special people.